Driving a car around a road course in anger and doing it well is one of the most exhilarating and satisfying things you can do with your clothes on. Part of it is due to the fact that it is also one of the most challenging activities to master. I didn’t call it a skill because doing it well involves just about every human ability. A top road racer is an endurance athlete, an engineer, a tightrope walker, a fighter jock, and a chess master all in one. But in addition to the challenge, it is, of course, an absolute blast! A huge part of the thrill that most people tend to focus on is taking corners at the limit of what is possible. Let’s face it, though, a fast car should be fast in every way and a car having more power will not only lead to faster lap times by shortening the time you spend in a straight line but it’s also more fun! This is the story of my quest for power. 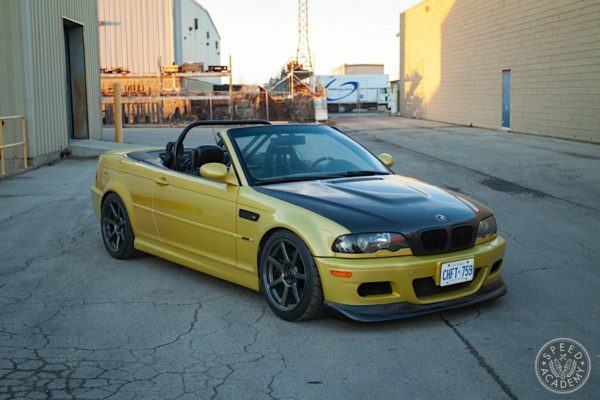 I had considered doing an LS swap or something similar, just jamming a good large engine in and calling it a day. But the challenge of the build is as important to me as the end result, so an engine swap just didn’t tickle me as much as forced induction. 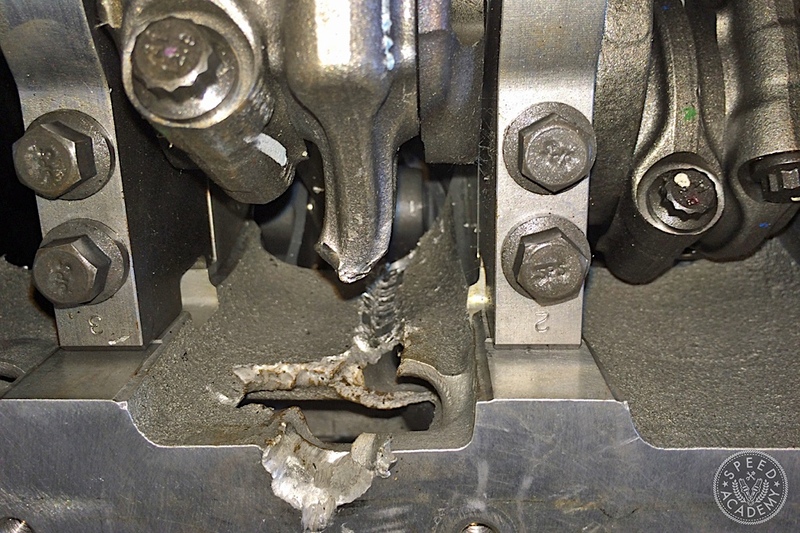 There are a lot of old wives tales out there about forced induction that gives a lot of road racers an irrational fear of boost, everything from the guarantee of catastrophic failure to unusable power. These may have had some merit before modern turbochargers and engine management, but the reality is that there is no reason you can’t make a boosted motor work around a road course by doing things sensibly. What’s more, for the same power level, you can make a modern turbocharged engine work better than a naturally aspirated one. More on this later and I’ll discuss it in detail when we get to the track, but consider the fact that an 800-hp V8 is always an 800-hp V8. A 200-hp engine boosted to 800-hp is only an 800-hp engine when the ECU tells it to be – which you can configure to be based on things like what gear you’re in, how much your throttle is open, how much wheelspin you have… I’ve even heard of boost being dependent on GPS because a car had more traction in the same gear in one part of the track than another! There is no replacement for displacement. But that doesn’t mean you need a big engine to displace a lot of air and fuel. The idea of forcing air into an engine is nearly as old as the internal combustion engine itself, with the 4 stroke engine being patented in 1876 and a gear driven air induction pump for it, in 1885. In my opinion, the first serious/cool application was in WW2 when military aircraft wanted to retain high performance as the air got thin at high altitude, especially for the bombers who wanted to stay away from anti-aircraft guns. Check out the giant supercharger on the back of the legendary Merlin V12 (from the likes of the P51D Mustang, Spitfire and Lancaster). Nearer and dearer to our hearts, some of the cooler early efforts of forced induction racing cars were in F1. 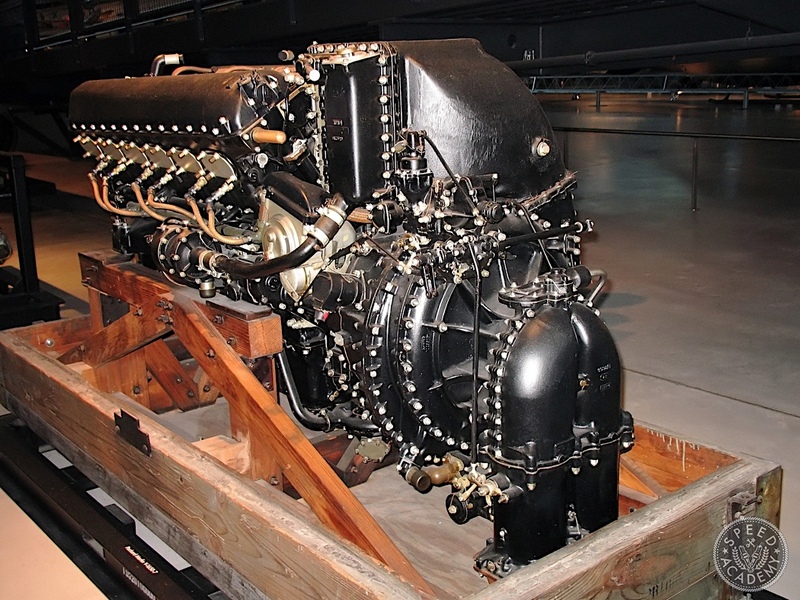 Google a video clip of the sound of a BRM V16 – at full song, it’s possibly the greatest man-made sound ever. What it is, is a 1.5L V16, supercharged to 70psi in peak power trim, making about 600-hp and spinning to 12,000 rpm… in 1953!!! Early turbocharged cars include the amazing Offys, making over 1000-hp in the late 60s for the Indy 500. I recently had the honor of drooling over a few at Parnelli Jones’ old shop. From there, most of the top racing series saw the benefit of forced induction, resulting in some of the coolest F1 cars and fastest Can-Am monsters including the 917/30, the spiritual inspiration for my car. 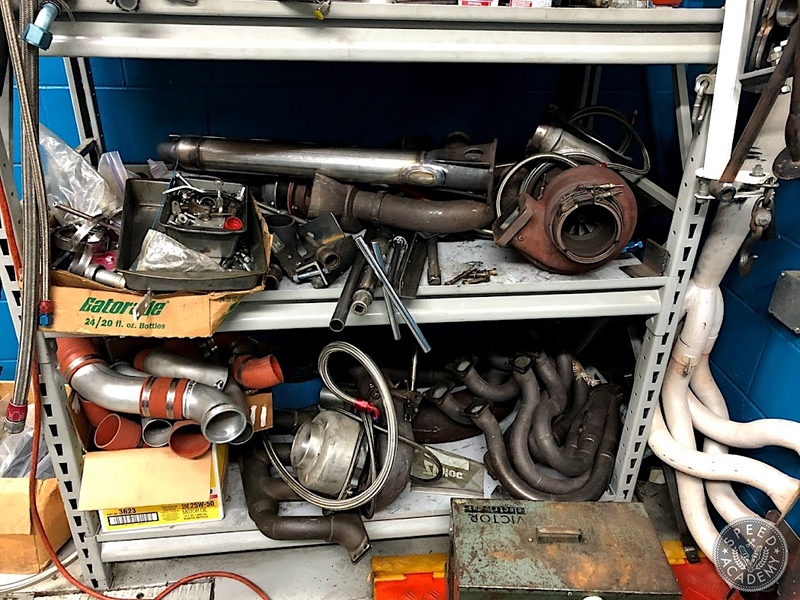 There are extensive resources out there explaining the general subject of forced induction in detail. It’s a very worthy wormhole to head down if you wish to nerd out further. The two common mechanical approaches are supercharging and turbocharging. The main reason to consider supercharging, in my opinion, is simplicity. 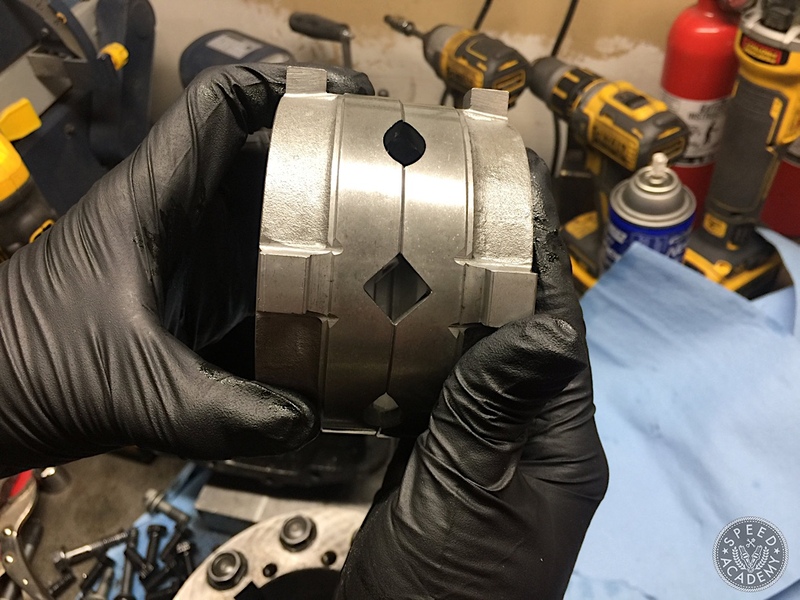 It can often be as simple as changing the intake manifold, drive belt and programming the ECU, especially with a sealed supercharger that doesn’t require external oil supply. But from there, the list of advantages gets short and questionable. Superchargers require power to turn and the more they make, the more they take. Top fuel dragsters may put out 8000+ horsepower but the superchargers can require up to 1000-hp to make that power. A more typical, high power supercharger can still easily take over 100. 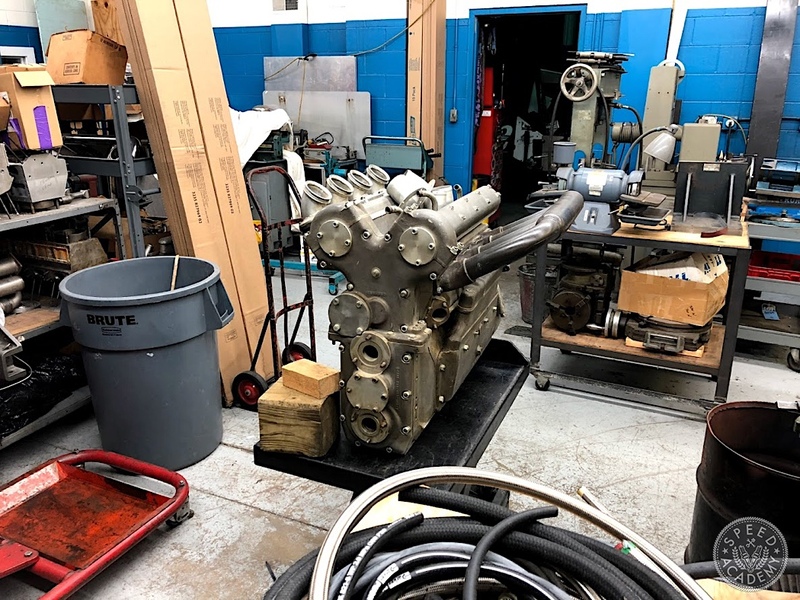 What you have to consider is that when you are figuring the stresses through your engine, it doesn’t care that you don’t get to use this power. So a 600-hp supercharged engine may actually be enduring the stresses of producing 700+, you just don’t get to use it. And if this stress is at the limit of one of the internal components, the game is over sooner than you may think if you’re judging by the output alone. Turbocharging, done right, adds very little stress to the engine that you don’t get to use to roast tires. It uses the pressure of the exhaust gas to spin a turbine, which in turn spins the compressor. If this sounds like a jet engine, the only significant difference is that the turbine isn’t being used for propulsion. 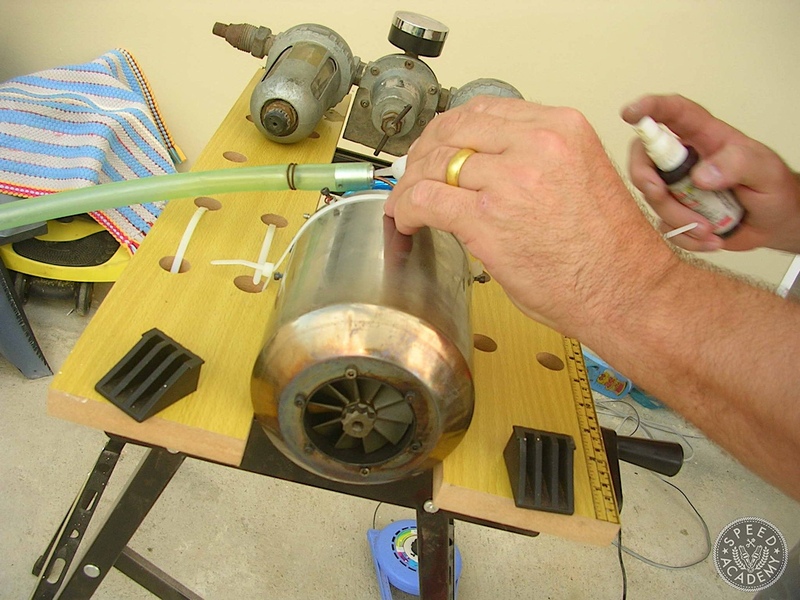 In fact, RC hobbyists use small automotive turbochargers to make model jet engines. 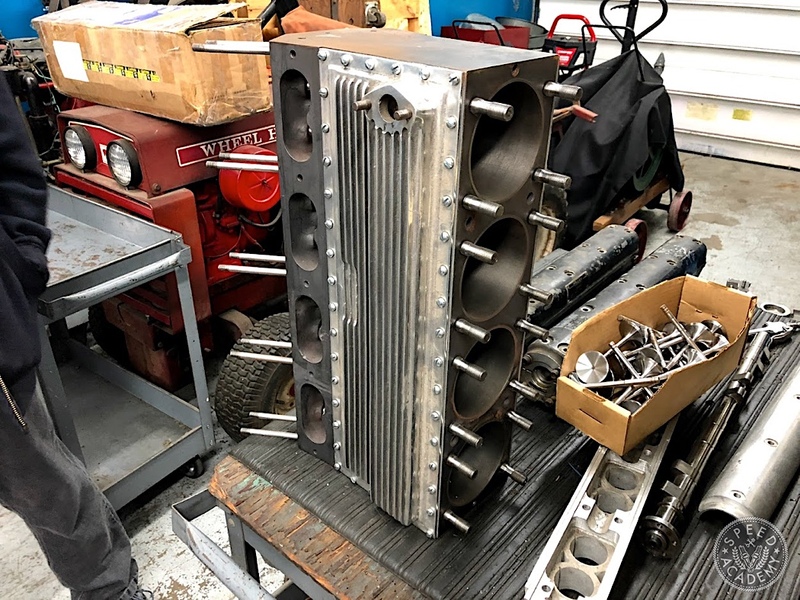 Other than the added weight, which is offset by being able to use a smaller, lighter engine for the power level and having some flexibility of where to put the weight, there is very little penalty, if done right. The heat introduced by the turbo in the engine bay, and the restriction of the exhaust flow can be managed fairly easily with the right selection of components. But the benefits are really exciting. The coolest one, in my opinion, is that with modern engine management and a well designed system, you can have almost a magic wand for power delivery. A 1000-hp naturally aspirated big block is always a 1000-hp engine, even in first gear when you don’t want it to be. With turbos, it’s all in the boost control. Dial it in right, add to it a good traction control strategy via timing retard and, if needed, fuel/spark cut, and you can have your car put down almost exactly 100% of the power that could possibly be delivered to the ground by the tires, in any gear, at any speed, precisely proportional to your throttle position. But through the early racing turbocharging efforts, there was another problem to battle – lag: the delay between asking for power and getting it. 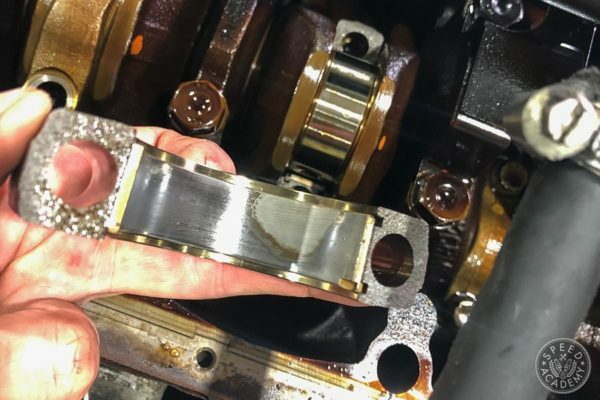 Mechanical forced induction is a feedback loop: you hit the gas, the increased combustion force starts accelerating the engine, which accelerates the supercharger or forces more intense exhaust through the turbocharger making it spin faster. This crams more air into the engine, which makes more power and the loop repeats. The bigger the supercharger or turbocharger, and the loftier your power goals, the longer this loop takes to run its course. Superchargers also suffer from lag but because the compressor is spun directly, the delay is much less noticeable. Even as recently as the ’80s, turbocharged performance cars suffered from lag so badly that it became fodder for jokes. You rarely see a retro review of a Porsche 930 or Ferrari F40 without hearing about how they gave mere mortals hope off the line, and then disappeared. Over the years, guys have tried all kinds of stuff to battle turbo lag because it was the main problem keeping turbocharging from being the ideal solution for racing. 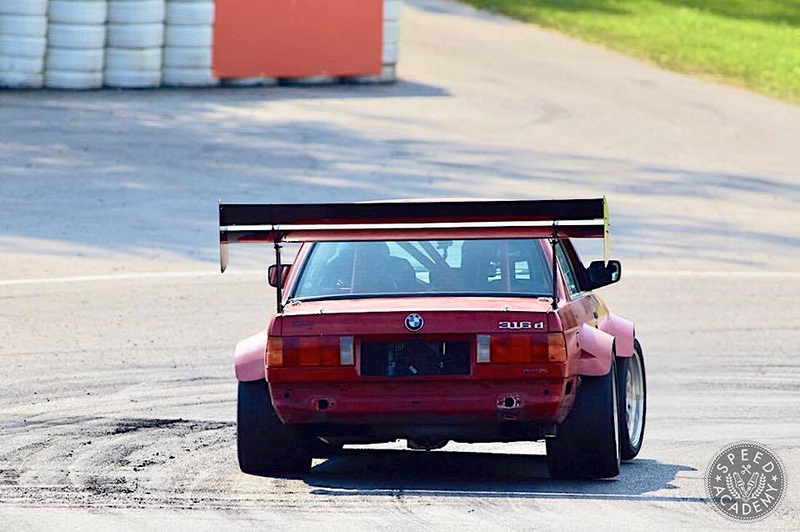 One of the coolest solutions for spectators is anti-lag – you dump fuel into the exhaust while your foot is off the gas, and you temporarily turn the turbocharger into an actual gas turbine, with the turbine being spun by the fuel burning inside the housing. 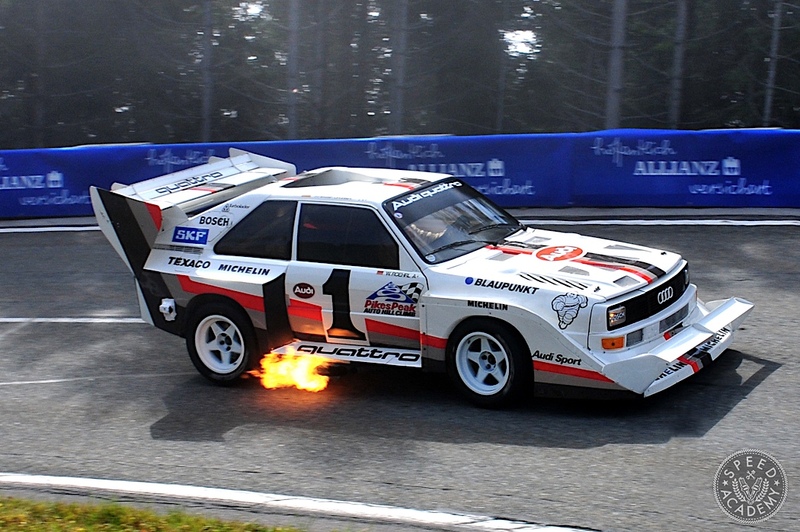 This results in those awesome blasts from the exhaust of rally cars that are so famous on YouTube. But over the years, we’ve evolved our understanding of the problem and through technology, turbocharging has really come of age. Namely, thanks to the advances in engine management, fuel injection and turbochargers themselves, turbocharging now works extremely well on the race track, and not just for the unlimited budget pros but also for goobers like yours truly, building cars in their garage at home. When I first started learning about turbocharged cars and how to make one work well around a road course, I was assaulted by a lot of misinformation. The Internet can be like a golden latrine – if it wasn’t for some of the stuff people were putting in it, it would be a really nice thing. One of the commonly accepted truths was that for a track car, you wanted a small, fast spooling turbo. Without much consideration or experience, this seemed to make sense. 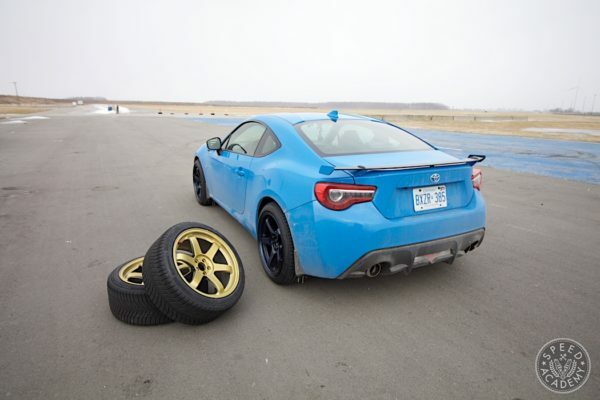 Around a road course, you want everything about the car to do what you want, when you want it. So a small, fast spooling turbo seemed like the best idea for the power to be there once you touch the gas. Some people refer to turbo size based on different measurements, but the one that makes the most sense to me is the size of the inducer (the blades you see from the front of the turbo). It’s like the size of a throttle body – it’s ultimately the primary limit for how much the turbo can chug. 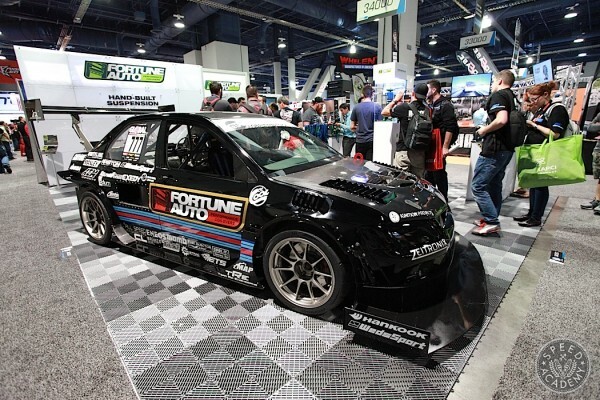 Guys would definitively state that you should get a little 55-60mm turbo because you will have full boost by 3000 RPM, which is what you want on a race track. Again, it feels true, which is a common theme for a lot of Internet wisdom. But people who believe this have either never driven a car on a race track or they haven’t thought this through. The reality is that if you aren’t driving a diesel, there is no reason to be at 3000 RPM with a modern engine on a race track. Learn how to downshift! The problem is that what you end up with is a car that dumps a lot of torque early on in the rev range and then falls on its face. 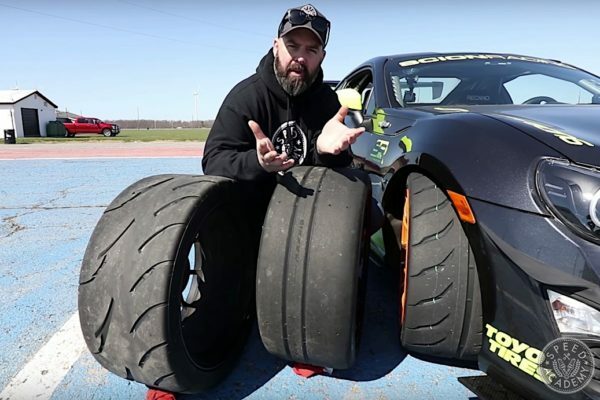 So you might shred your tires coming out of a corner and then get a whole lot of nothing. What you really want is a turbo that can keep up through your entire practical powerband on track. Most transmissions have gears spaced about 1500-2000 RPM apart. So for an engine that you shift at 7000, you want the turbo to flow efficiently from about 5000 to 7000. Based on that, and your power goals, there is some math you can do to very reasonably estimate your airflow needs. Then you can use the data provided by aftermarket turbo manufacturers to see which turbo fits your needs. The most useful are the compressor and turbine maps. They’re mainly based on pressure ratio and mass flow. You can figure out mass flow from your power goals and pressure ratio is really just your target boost because it’s the ratio of the compression the turbo is performing. And unless you’re running compound turbos, it’s just the ratio of boost to atmospheric pressure – so 1 bar of boost is just a 2:1 pressure ratio, 1 bar on top of the roughly 1 bar that’s already in the atmosphere. If you go off the map, especially for the compressor, at best you will be running the turbo very inefficiently, making a lot of heat for not much gain. 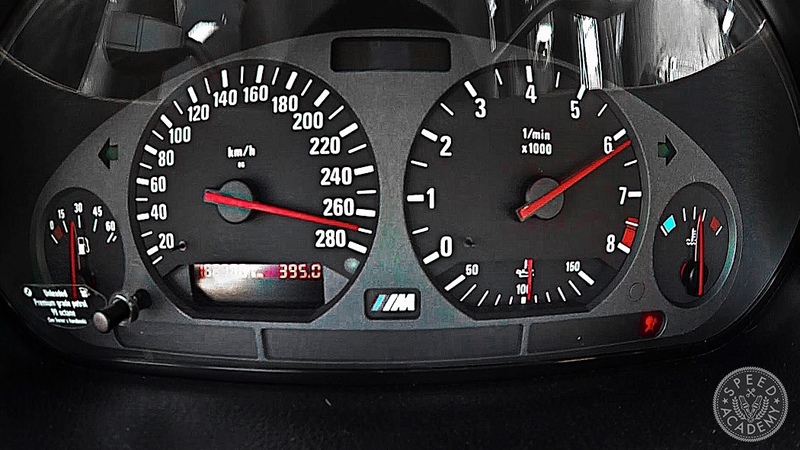 This is why you often hear of small turbos needing 30 PSI to make the same power as a larger one at 20, because you need the extra 10 pounds of pressure to force enough air and exhaust gas through the restrictive, inefficient turbo (for that mass flow). But at worst, you could actually destroy your turbo, possibly sending shrapnel through your intake. So based on all of this, I figured out that a good ball-bearing 67ish mm turbo is the ticket for my 750 to 800-whp target. BorgWarner has a really cool app that does all this math for you, so you just need to know a few things about your engine, or use their very reasonable real-world estimates. Then you can pick one of their turbos and see which one will match your needs, and with which turbine housing. As long as those red dots don’t go off the “island”, both you and the turbo will be happy. To be honest, it’s also just fun to play with! 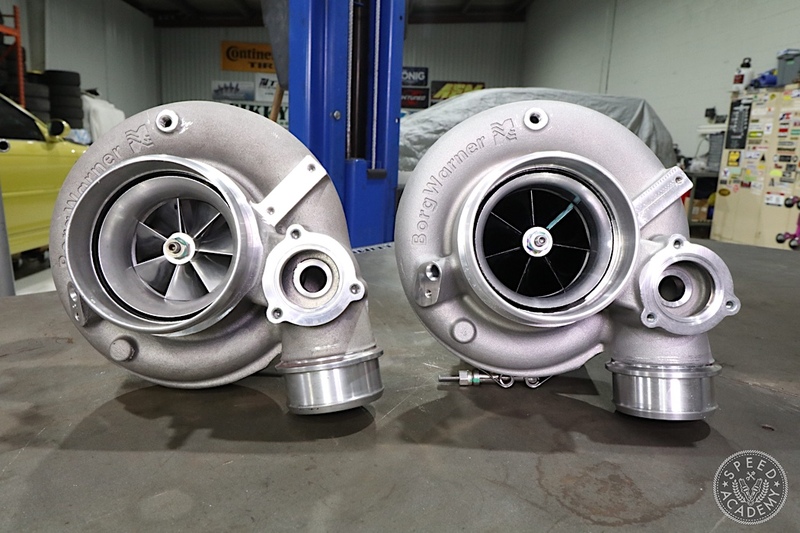 Besides the small turbo for boost at low RPM, the other generally accepted but misguided “truth” on the internet about road racing turbos is that you want a turbo that spools quickly. Spool is something you can see on the dyno where you do a hit from a coasting state, or a drag racing launch. But on a road course, once you leave the pits, what you actually care about, is response in transition, aka “transient response”. That is, when you ask the turbo to change what it’s doing – to transition from one speed to another, how long does this take to happen? The spool everyone worries about, that is seen from the time you mash the gas while coasting, and until the turbo starts building boost (also known as the boost threshold) is a transition but not one practically interesting to the road racer. The response you want on the track is when already at speed, in boost, lifting off for a corner and not long after, getting back on it. This is the response that anti-lag tries to minimize. I was happy with how my turbo performed in terms of its flow performance but the transient response left something to be desired. I had to try to learn to time the throttle application to happen sooner than I would normally want. I would roll it on, trying to create a balance between spooling the turbo and not getting the diff clutch packs to start locking up too much. This was especially vexing since I was planning to upgrade the stock 45 degree drive ramps to 30 (I might cover this in detail another time but basically, the shallower the angle, the more of the drive force is applied to lock the diff). I assumed that this is just something I have to get used to and accept.